Doing Business with marijuana cannabis Greenhouse Suppliers? With the advent of legalized marijuana production and personal consumption, the greenhouse industry has spurred a new dimension of greenhouses specifically designed for this new growing industry. Existing marijuana greenhouses as well as newbies who are looking to get into the business are looking at, how to grow marijuana and what is the best marijuana greenhouse structure to maximize marijuana production. Will a utility bill of $21,500.00 per month fit into your budget for a marijuana growing operation? One of the biggest factors some of these growing marijuana facilities face is the massive carbon footprint that many of these indoor growing operations leave in their wake. As soon as the growing frenzy started. Right after the passing of laws to legalize marijuana, many growers were setting up their growing labs inside warehouses, with solid roofs and solid walls. These indoor labs required monumental resources to power up a 20,000 (sq.ft) building. With more growing operations continuing to pop up. The energy demands to have high intensity sunlamps and circulating fans running 24-7 concurrent, are literally taxing the energy grid. This has caused a significant concern for local power companies on how to manage this massive consumption of energy. The actual energy statistics will stagger your imagination. There is no doubt that the marijuana industry has to reduce its carbon footprint and reduce greenhouse gas emissions. Marijuana, considered an Energy Hog? The present consensus as of 12-2013 says that the marijuana industry uses enough energy per year to power up around two million homes. The race is on and as the marijuana industry continues to press forward. The need to find alternative energy sources is of paramount importance. In the name of saving energy. This new marijuana industry is creating and motivating manufacturers to make significant advances in the plant lighting industry. The quest for more energy efficient products. Re-inventing and coming up with new lighting technology that saves about 20% – 30% energy savings will hopefully create a greener footprint. 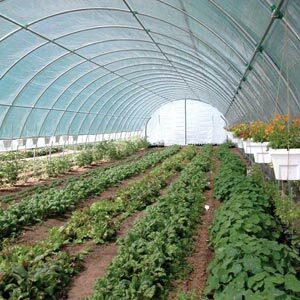 Utilizing greenhouse structures saves energy and lowers the carbon footprint. This alternative source, has taken on a whole new perspective. When it comes to growing marijuana, greenhouses is the structure of choice, more efficient and cost less to maintain. Greenhouses are nothing new, commercial nurseries and farmers have been utilizing greenhouses for centuries and what makes them unique for growing is “environmental control”. A greenhouse is extremely useful for its ability to capture natural sunlight, contain heat, control temperature, humidity, soil, air circulation and light. A greenhouse can save a marijuana producer nearly 80% of what it would take to grow the same amount of cannabis indoors, in approximately the same size structure by comparison. Light and heat are the perfect combination for growing plants whether its vegetables or cannabis. It’s the best medium providing the right amount of comfort to grow a productive harvest, without the use of pesticides and chemicals. With a greenhouse growing facility, light diffusion is extremely important. Without diffusion, directional light creates hot spots and shadows, resulting in uneven growth, leaf burn, and the need (cost) to rotate plants. Light diffusion scatters the light waves, creating light uniformity throughout the entire grow room. Uniform growth conditions result in consistent plant development. The type of covering used on a greenhouse has the largest impact on light diffusion. Multiwall or Corrugated Softlite Sheet Provides the Best Light Diffusion. Soft-lite Multi-wall and Corrugated Polycarbonate Sheets are 100% light diffusing panels utilizing advanced polymer technology to scatter the light while still maintaining high light transmission (79% PAR LT 8mm | 72% PAR LT 16mm | 85% PAR LT Greca). Polycarbonate allows the proper visible light spectrum to pass through the greenhouse covering, promoting photosynthesis which is vital for tissue production during plant growth. Greenhouse growing has pretty much stayed the same throughout the years. Abundant plant growth requires water, nutrients and the right environment. A greenhouse with the right components, can grow cannabis or vegetables all throughout the year. Even during the hottest and coldest climates. 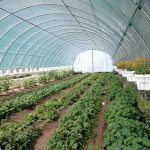 There are a few reputable greenhouse manufacturers that provide economical alternatives for frames, components, supplies and accessories. Every marijuana grower will have to determine what greenhouse will suit their needs. Greenhouses Del Sol offers quality built greenhouses and polycarbonate panels, along with profiles and accessories at very affordable prices and provide installation services.